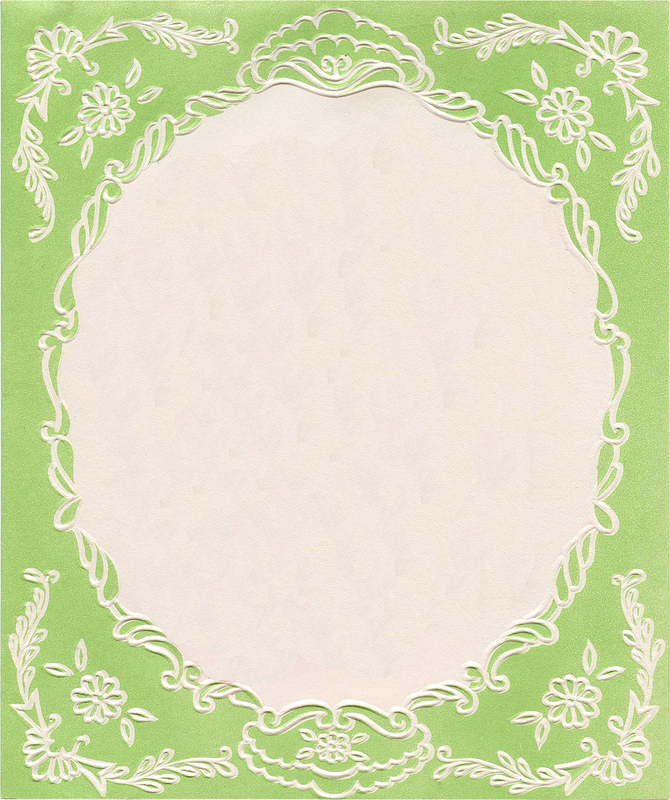 Today I’m sharing this Beautiful Free Green Floral Graphics Frame Set! Isn’t it just so lovely?! 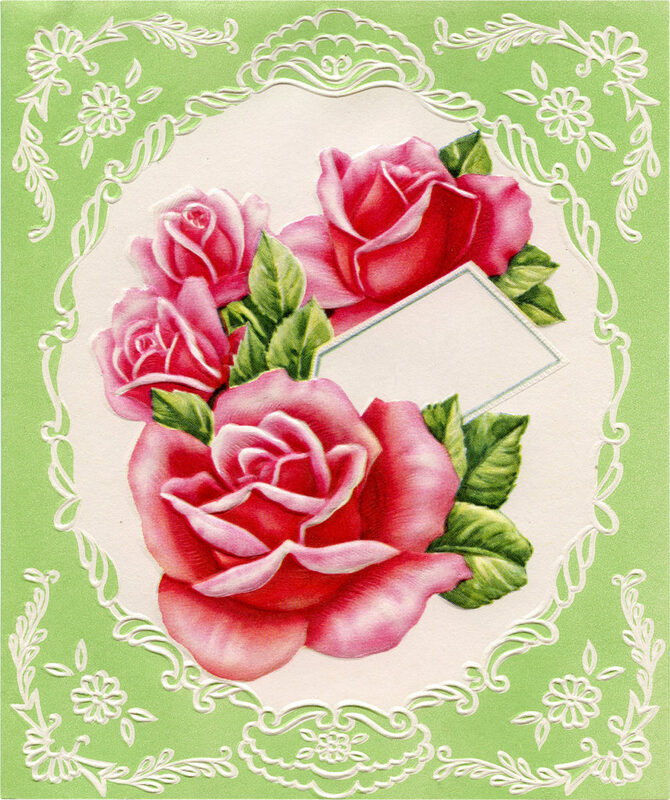 These are all pieces from a Vintage Note card that I scanned from my collection, and I think you will find so many uses for these! This first piece was from the inside of the card. It’s a lovely Chartreuse Green Frame with white Leaves and vines. 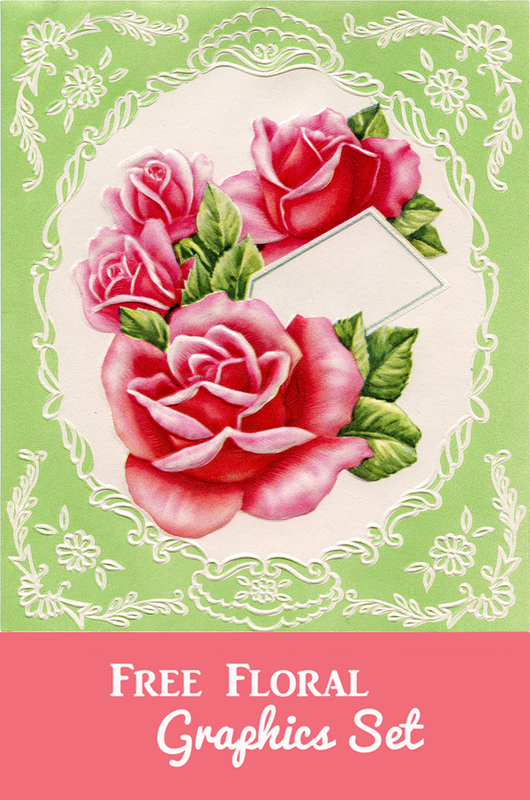 The inside section is creamy with a light paper texture all over, and has a beautiful Pink Rose on it. This would make a wonderful Label or perhaps it could be used for an invitation or calling card. This piece was the cover of the card and shows some Gorgeous Pink Roses! 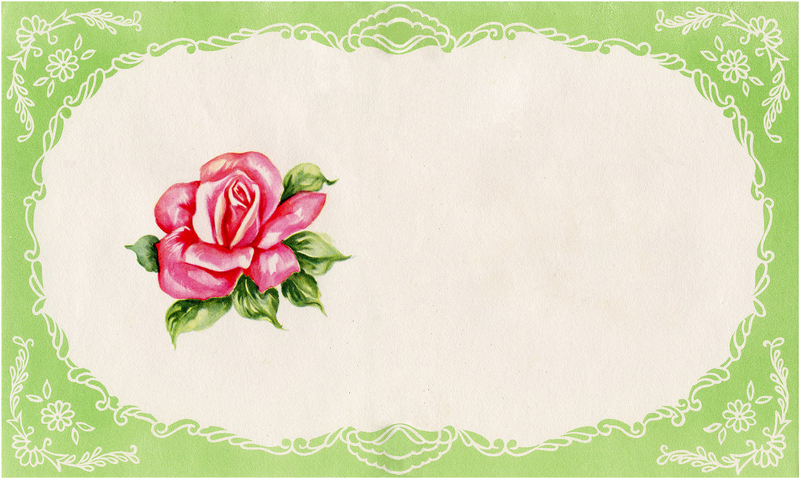 There’s a little tag tucked inside the flowers, where you could add some text if you like. Here we have the same cover again, only we’ve removed everything from inside of it, so that you can add what you like in the white space. I think it would make a great journal card for a Junk Journal, you could add some text inside of the wreath. So many possibilities with this green floral graphics frame set. These were all scanned from a circa 1940s/1950s notecard in my collection. I purchased an entire set, in the original box. The box does not have any type of copyright mark on it, it does not appear to have ever been copyrighted. You might also like a gorgeous Pink Floral Graphics set from here and an Orchid Image from the same Notecard Box HERE. « Yellow Botanical Flowers Image – Lovely!